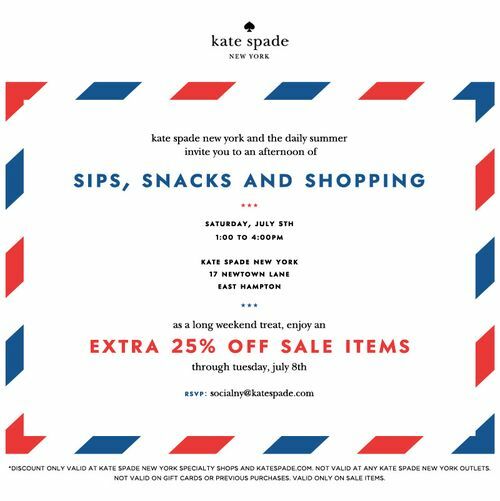 Join kate spade new york for a special in-store event. Cocktails and shopping. Extra 25% off of Sale items.